Orange - the colour that I used to hate but has really grown on me over the last year or so. As a result, I find myself picking up shades that I'd passed on when I first saw them. 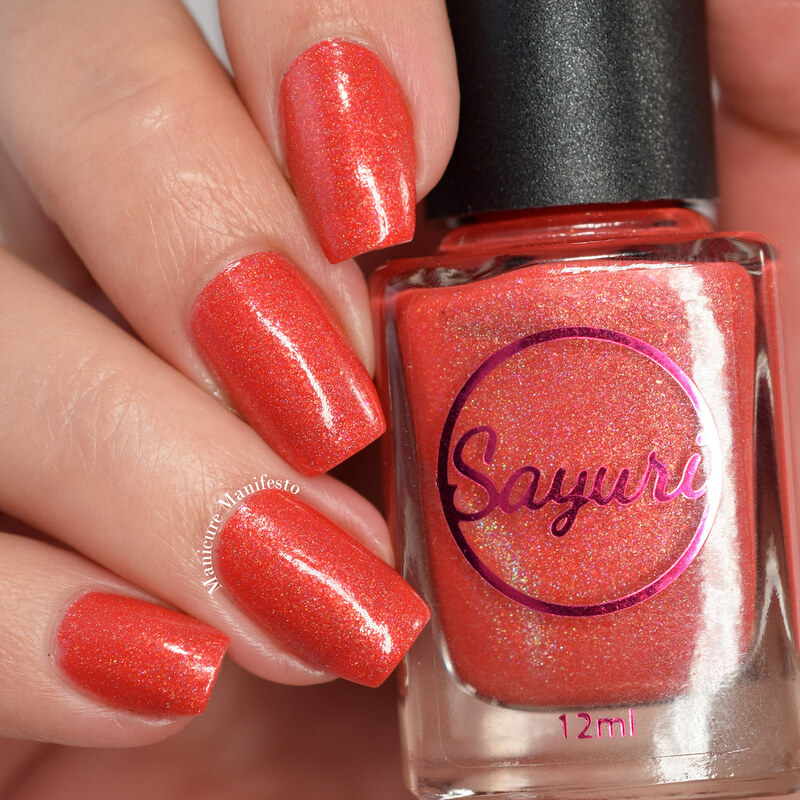 Sayuri Nail Lacquer Wild Child is one of those shades. 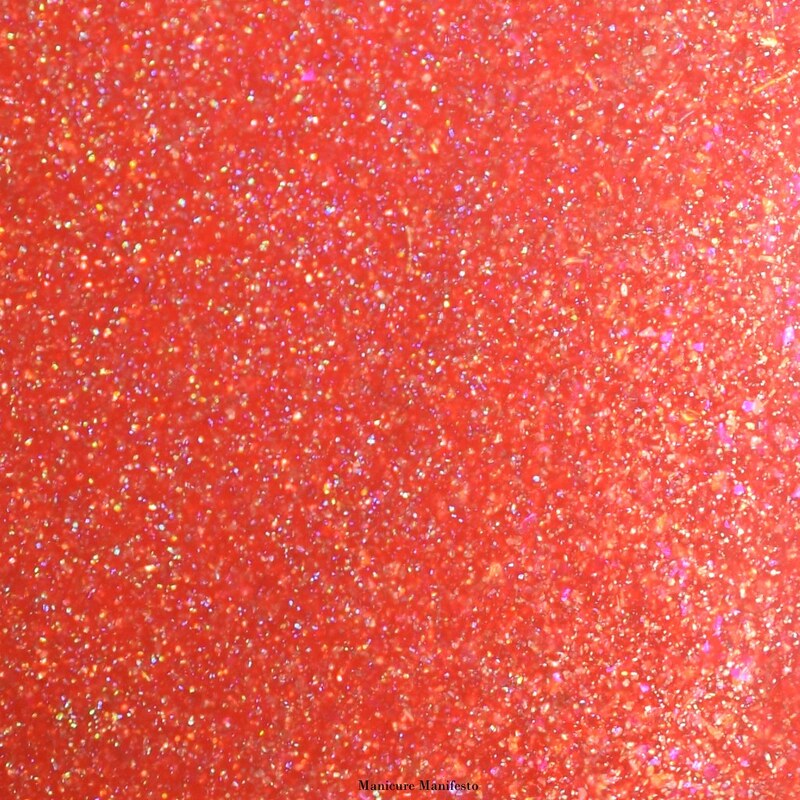 Wild Cheer features a bright red leaning orange base with a soft gold holo shimmer and tiny orange flakes. 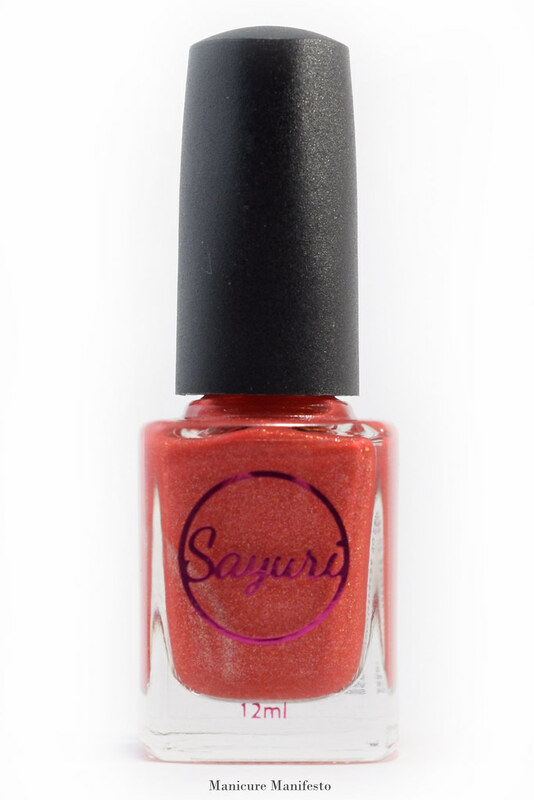 The formula was quite pigmented, easy to work with and took two coats to become opaque. 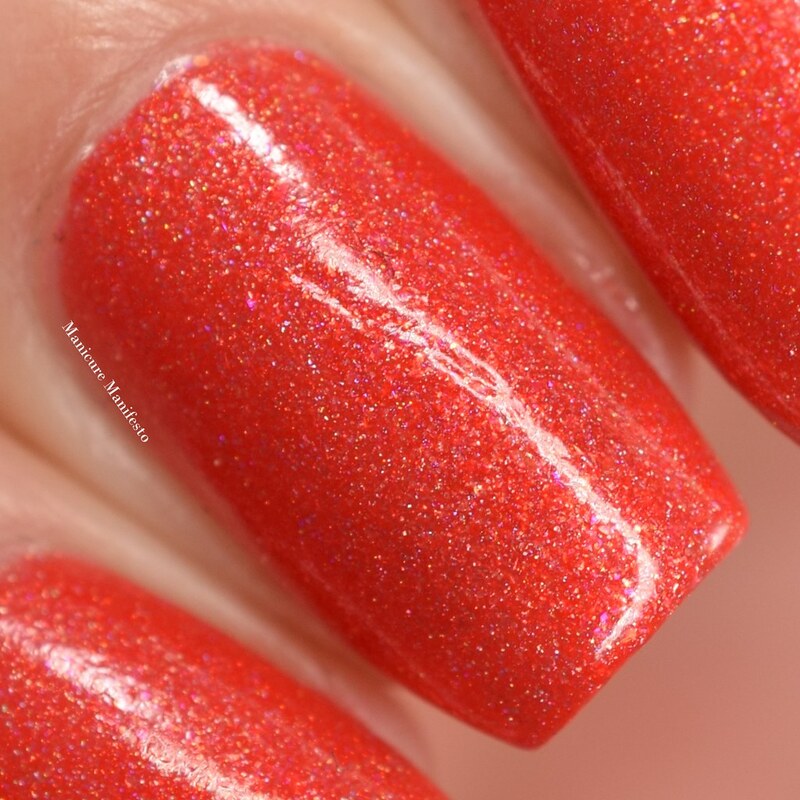 Photos show two coats of Wild Child with one ocat of CND Super Shiney top coat in daylight spectrum lighting.